Photo: Rudolph Latto House, ca. 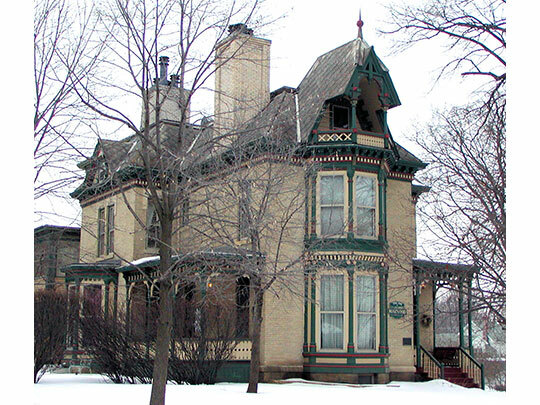 1880, 620 Ramsey Street, Hastings, MN. Listed on the National Register of Historic Places in 1978. Photographed by user:Appraiser (own work), 2008, [cc-by-3.0 (creativecommons.org/licenses/by/3.0)], via Wikimedia Commons, accessed May, 2014. Dakota County administrative offices are located at 1590 Highway 55, Hastings, MN 55033; phone: 651-438-4213. Dakota was one of nine original counties created by the Minnesota Territorial Legislature in 1849. The county seat was established at Kaposia in 1853, moved to Mendota in 1854, and finally, to Hastings in 1857.